The Theatre Royal in Liverpool's Breck Road, Everton was built in 1891 as the Theatre Royal Palace Of Varieties by W. Redman. 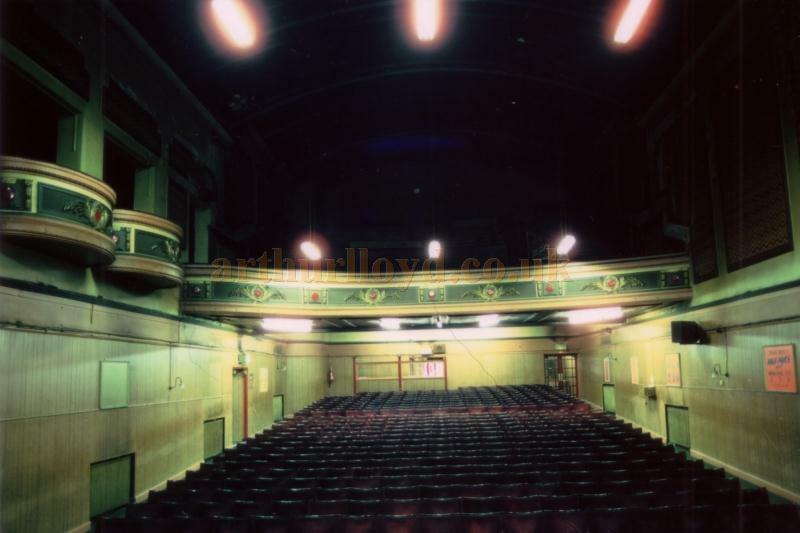 The small auditorium was built on two levels, Stalls and Pit at ground level, and a Dress Circle and Balcony on the second. Strangely the Theatre had four Boxes all on the stage left side of the auditorium but none on the stage right side. The Theatre had a capacity of 500. This Theatre Royal should not be confused with the former Theatre Royal in Williamson Square which was built in 1772 by Sir William Chambers and rebuilt in 1802 by Foster. Above - The very unusually shaped auditorium of the Theatre Royal, Breck Road, Liverpool during the Theatre's Bingo Years in 1981 - Courtesy Ted Bottle. Note the boxes are on only one side of the auditorium. 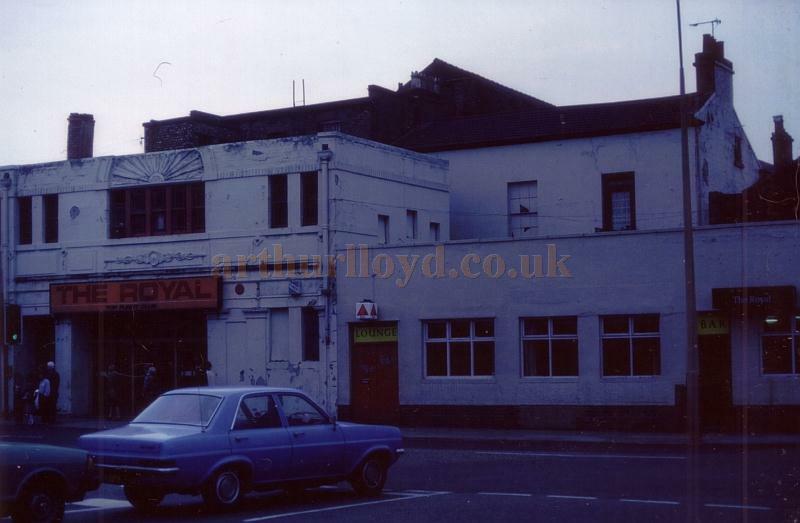 Above - The Auditorium and Stage of the Theatre Royal, Breck Road, Liverpool in 1981 - Courtesy Ted Bottle. 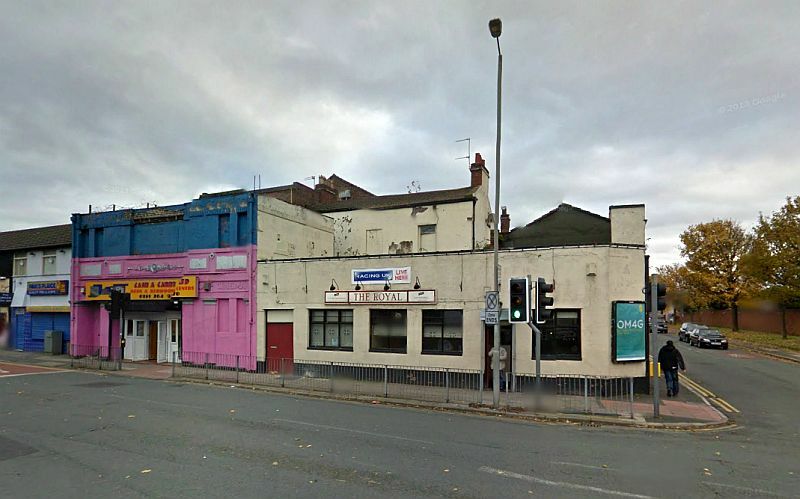 In 1920 the Theatre Royal, Breck Road was converted to a Cinema and renamed the Super Royal Cinema and had many subsequent alterations and modernisations over the ensuing years. The Cinema was later converted for Bingo and then later still, used as a Carpet Warehouse. 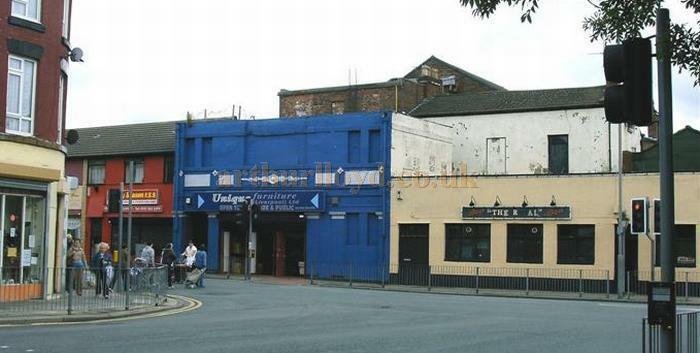 In 2009 the Theatre was in use as a furniture shop and warehouse but planning had been passed for its demolition and the construction of an apartment building on the site, although in 2012 the Theatre still stands, albeit in a sorry state. 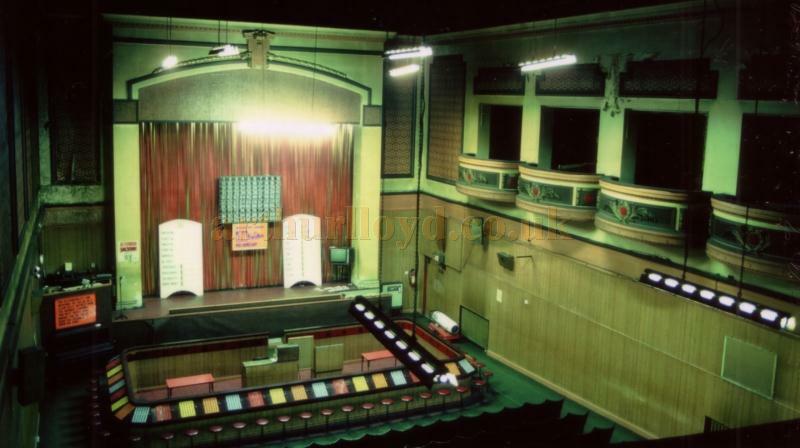 Above - The Four Boxes situated on one side of the auditorium of the Theatre Royal, Breck Road, Liverpool during the Theatre's Bingo years in 1981 - Courtesy Ted Bottle. Ted Bottle, who sent in the 1981 photographs of the Theatre Royal on this page says:- 'What a curious building, having four boxes side by side along one wall only. 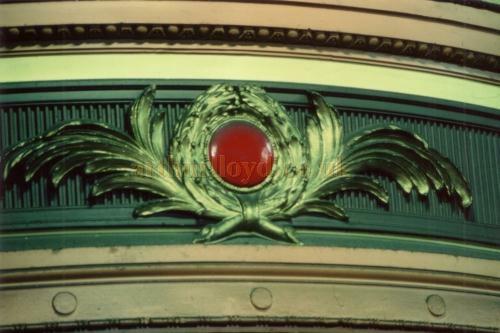 Right - A detail of one of the four Box Fronts situated on one side of the auditorium of the Theatre Royal, Breck Road, Liverpool during the Theatre's Bingo years in 1981 - Courtesy Ted Bottle. 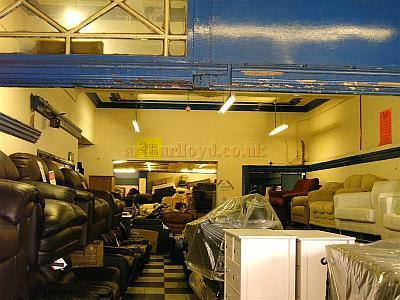 Above - The Theatre Royal, Breck Road in 2008, whilst in use as a furniture shop - Courtesy K.R. 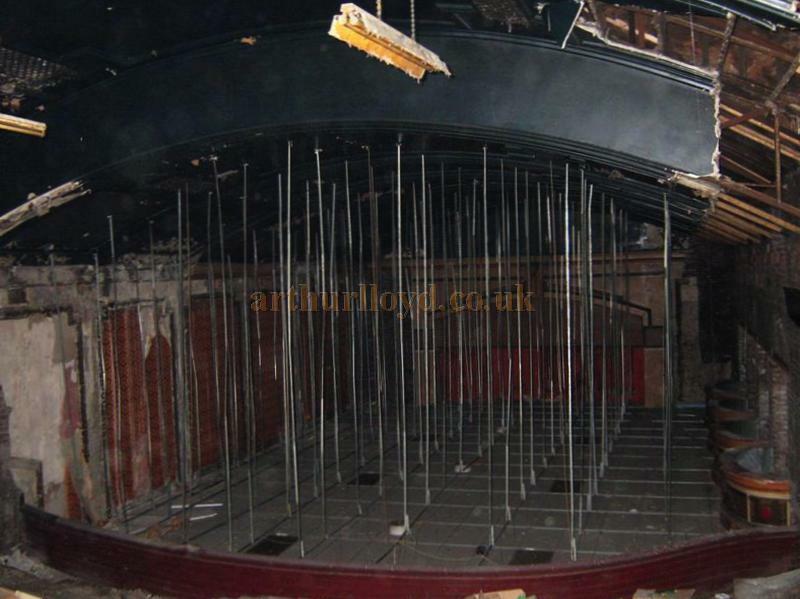 Above - The proscenium, the circle rail, and some of the original boxes of the Theatre Royal, Breck Road are still visible in this photograph taken in 2009 from above the false ceiling of the present furniture showroom and Warehouse - Courtesy K.R.. 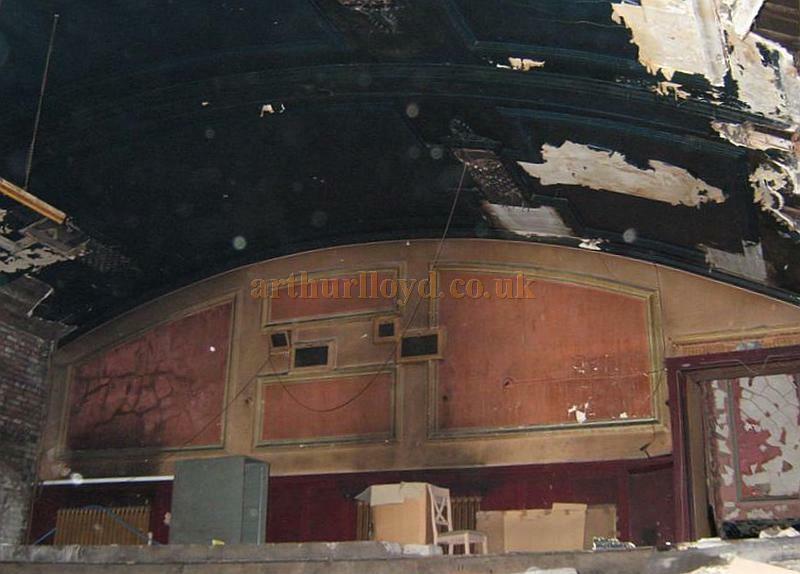 Above - The Projection Box at the rear of the circle of the Theatre Royal, Breck Road is still visible in this photograph taken in 2009 from above the false ceiling of the present furniture showroom and Warehouse - Courtesy K.R..
'Brother Victor of the De La Salle teaching order who once taught and lived on the premises of St. Elizabeth;s School, Breckfield Road South says:- "At the corner of Breckfield Road South was a cinema (at an earlier period it had been a Chinese cinema) and the screen was on the reverse side of our Oratory wall. In the evening it was possible to hear the sound track! We once took the whole school to the cinema to see Treasure Island (with Robert Newton).' - The Seventeenth Anniversary of De La Dalle Liverpool 1925 -1995. Compiled by Brother Martin Morris - Courtesy Jim Hynes. Right - The Foyer of the Theatre Royal, Breck Road in 2008, when in use as a furniture showroom and store. - Courtesy K.R.